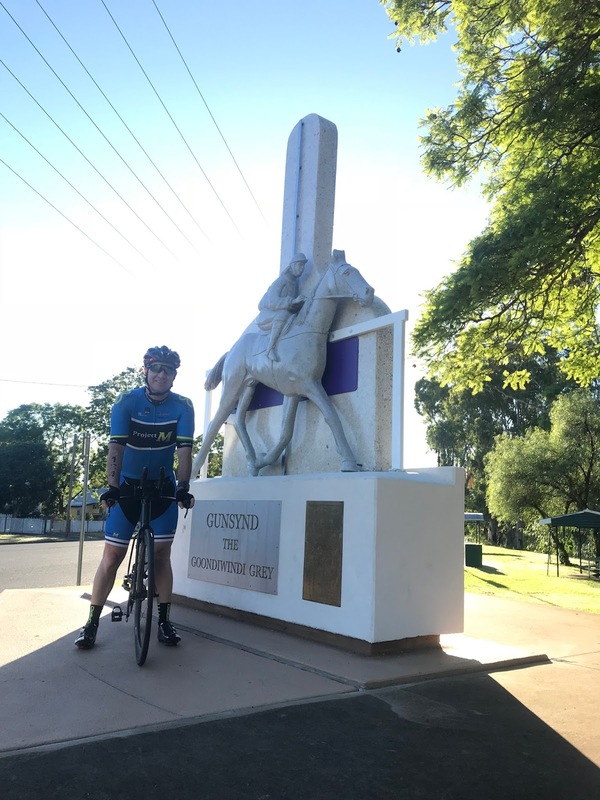 Goondiwindi, in south western Queensland, is a town best known for producing a great race horse in the 1970’s by the name of Gunsynd, aka the Goondiwindi grey. A winner of 29 races, including my favourite - the Doncaster Handicap, the horse has left an indelible mark on the town, with many businesses brandishing the name and a statue paying tribute to the horse. It was one of the three main reasons that I chose to race the much revered race known as Hell of the West. 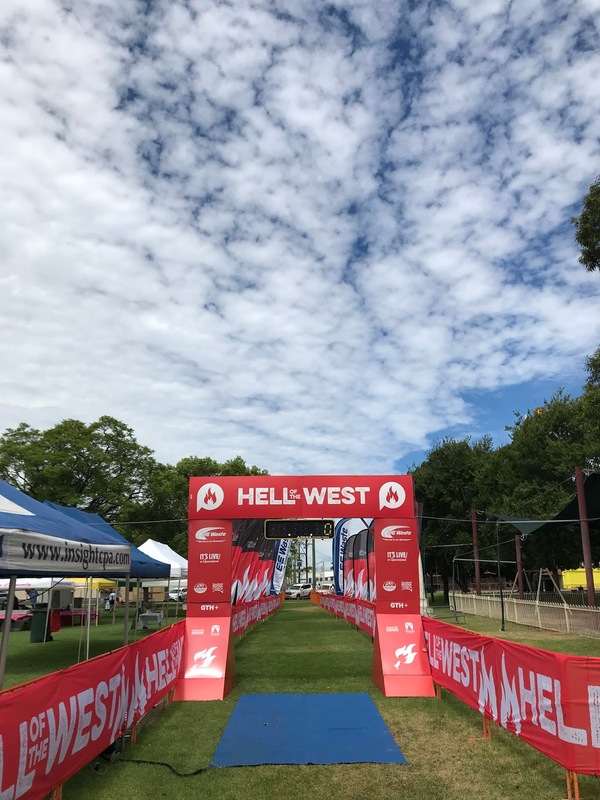 The other two reasons being the challenge of a blazing hot race with a swim that would put me way out of my comfort zone and also the fact that it was a qualifier for the ITU Long Course world championship. I should start by commending the race organisers on how good this event was conducted. Easy registration, an amazing entry price, a race bag loaded with goodies including a hat, the best race bib I’ve ever had, race tattoos and a very friendly community spirit. Absolutely flawless. My race was not unlike the running style of Gunsynd in many of his races, with his penchant for a slower beginning, moving up mid-race and doing his best work at the end. The swim was gruelling, the Macintyre River is a savage beast for an average swimmer. Starting up-stream in near darkness, the shoreline was lined with small kayaks bearing torches, usually to warn of a protruding tree branch or similar. The first of two kilometres seemed to take forever. The small solace that I’d be swimming with the current on the way back was almost the soul motivator. Knowing there was a bridge near the turning buoys, I was hoping to catch a glimpse of its silhouette in the glow from the now rising sun. It was a long wait, but finally it appeared. The swim back seemed much easier but it had been a long time in the water. Like the famous grey himself, I was somewhere near the tail of the field, 24th of 30. 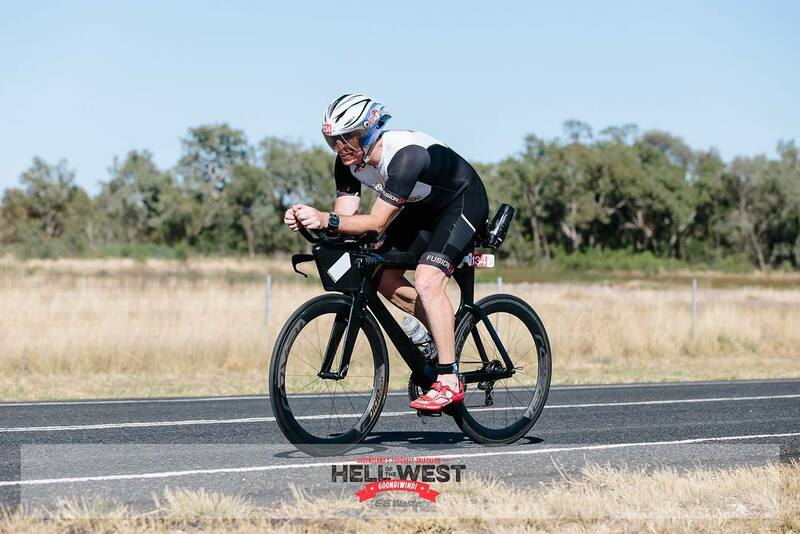 After a 400m trot to T1 it was both a relief and somewhat exciting to be on the bike. The allure of a straight, flat, one-lap out and back course appealed to me. Sure it was on the country roads of the Barwon Highway, but I’d raced on much worse. The 40km out was superb, I had my bike computer set to lap every 8km, my way of breaking the race down into 10 segments. Riding at my target heart rate and power, my splits were more than I could of hoped for. Another standout quality of the course being one lap was the absence of drafting, this made for an honest affair. Turning at the halfway mark to head back to town, riders quickly became aware of why the ride out felt so good as they were smacked in the face with a 30km/hr headwind. My splits were about two-minutes slower per 8km. I just stuck to the goal of heart rate and power, which remained consistent throughout. The return trip took about 12-minutes longer than the one out. In Gunsynd style I’d eased my way up through the field as they hit the home straight, I was now 19th of 30. The run was a ripper. With the mercury climbing to the mid 30’s, we traversed three laps of the town, with amazing support from the locals. Aid stations were manned by school children and community members alike who all embraced the race with great gusto; something that is becoming a rare commodity in triathlon locations. If I made one error on the run, it was letting the way I feel dictate my pace a little too much early on. I was running around 10seconds faster than expected for the first 8km. It hurt me a little at the back end of the race, but also provided a valuable lesson for my next half-distance race. I was lucky enough to run with my wife for a small portion of the race, I entered the finish chute while she ran in the adjacent chute to begin her last lap, it was a pretty cool moment. In the end, I’d made up four more places on the run to finish in 15th. It was no Gunsynd in terms of charging to victory but I’d slowly improved my position throughout the day. It was also enough to secure valuable points in my quest to qualify for Denmark and another little learning curve to take into my next half-distance race at Challenge Melbourne. Again, this is a race to pop on the bucket list. We topped off the night celebrating with the locals, including committee members, who were great hosts and absolute triathlon tragics. I would not hesitate to recommend racing in Goondiwindi. In the spirit of the trip, we headed to the statue of Gunsynd for a photo the day after the race. 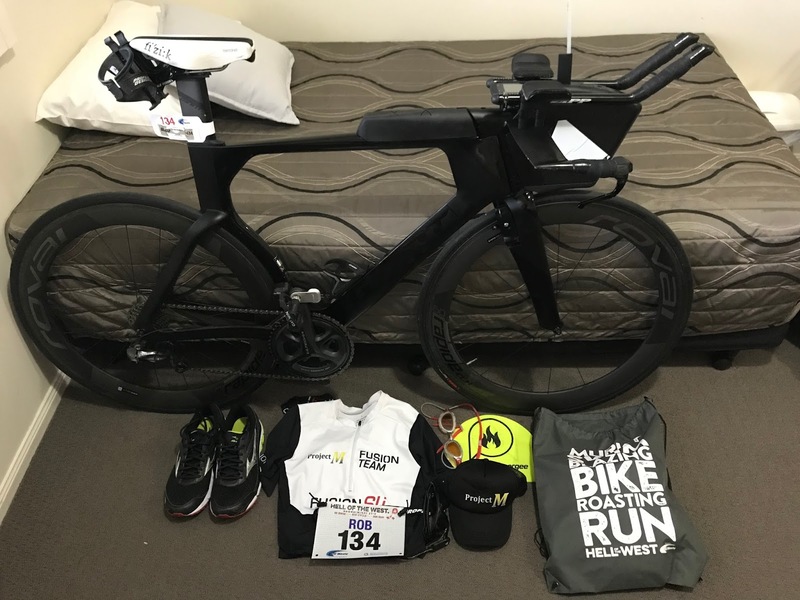 Now it’s back to training, laced with an Olympic distance hit-out in Wollongong, before heading to Melbourne in late April.